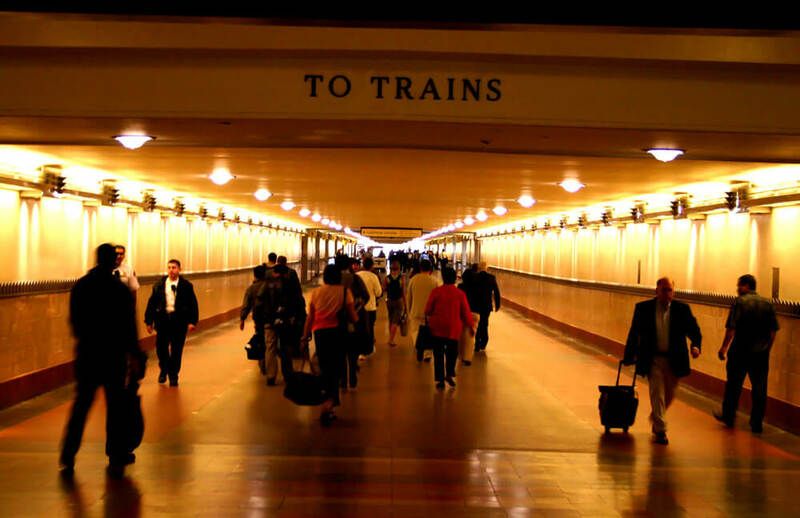 As one of the most-visited destinations in the world, Los Angeles boasts numerous transportation options. 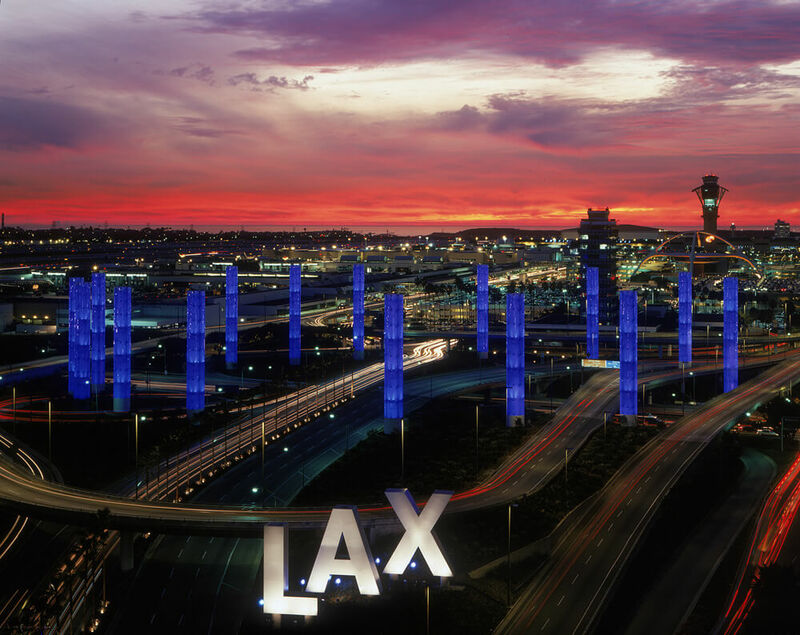 Planning for your Los Angeles transportation isn't difficult thanks to an abundance of airports, freeways and other options. Whether you drive or fly depends largely, of course, on where you're coming from and how many passengers you will have with you. Larger families may find it's more economical to drive, but you should always factor in the additional cost of gas and food while on the road. If you're flying to LA, you have an abundance of options. 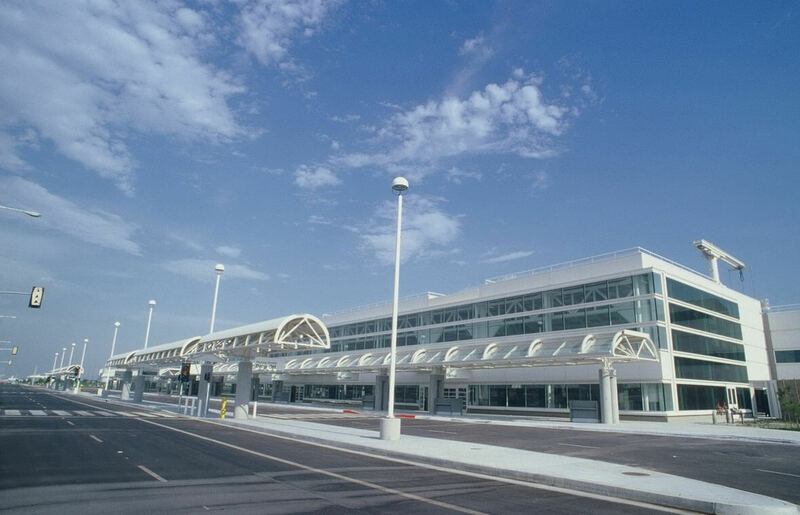 The two biggest airports are Los Angeles International Airport (LAX) or John Wayne Airport (SNA), although depending on your origin, you may find the smaller airports to have more competitive rates or to be more convenient from your departing airport. At 12 miles away, John Wayne is the closest airport to Disneyland, although Long Beach is only 18 miles away. Burbank is closer to downtown Los Angeles and Hollywood than LAX. 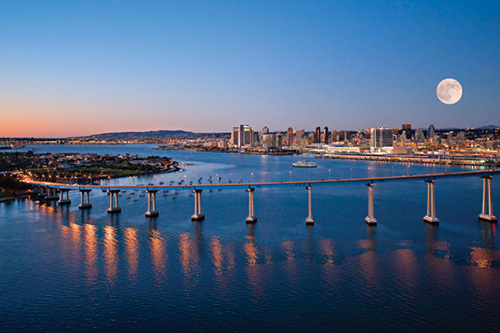 For visitors planning to visit both Los Angeles and San Diego (about 120 miles away), it is usually much cheaper to rent a car or take Amtrak rather than fly between the two cities. Amtrak operates from the historic Union Station in Downtown Los Angeles, and makes stops in several Orange County cities (including Anaheim) before making it to San Diego's Santa Fe Depot (also historic), a journey of about three hours. Los Angles is a very large city that covers about 469 square miles, so the most popular way of getting about is by car. Residents of Los Angeles are very attached to their cars and the immense freeway system for traveling around Los Angeles and neighboring Orange County. If you're taking a trip to Los Angeles, you most likely are better off renting a car than relying on public transportation, which will cost a family more money and not necessarily save time. The biggest exception to this is if you are visiting Disneyland (in neighboring Orange County) and that is your only major destination (see below under Disneyland Resort Express). 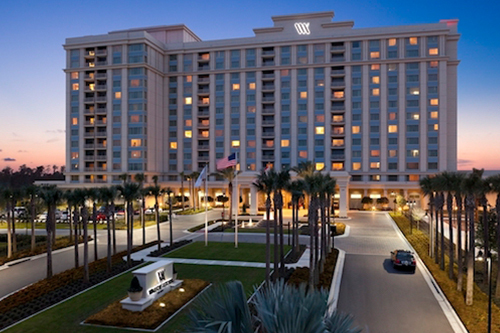 Expect to do a lot of driving as most of the area's major attractions are quite spread out! The good news is that LA boasts some of the cheapest rental car rates in the country. And if you book through us, you can save up to 50% from six top-name brands! All of the stories you hear about LA traffic are true. You'll need to pack your patience to get around its many congested freeways, and you should expect to find bumper-to-bumper traffic if you're traversing the city during rush hour (roughly 7 a.m.-9 a.m. and 3 p.m.-7 p.m. weekdays), and even other times. If you are heading to Universal Studios, it is ALWAYS rush hour on the 101, no matter what time you drive. 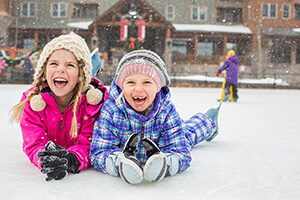 Plan to spend time ahead of your trip familiarizing yourself with the major roadways and mapping out your major destinations, starting with the journey from the airport to your hotel. Many of the Southern California freeways have designated High Occupancy Vehicle (HOV) lanes, accommodating vehicles with two or more passengers. The so-called "diamond" lanes are fixed lanes that can go for several miles without a break. We recommend getting out of the lane a few miles before your planned exit, or you might just miss it. Crossing that line when it it’s not an official HOV lane entrance or exit can make for a very expensive ticket. There are some HOV off-ramps in some areas, especially near Disneyland, which can in saving time by passing up the regular traffic lanes. It is worth noting that motorcycles can drive in the HOV lane and often pass the HOV cars on the right, so be on the lookout for that, especially when merging to the right. In LA, parking can be tricky. Some locations have ample free parking; others are metered or require paid parking. Hours can vary and many meters have time limits, so be sure to read the signs. Most parking meters take coin or credit card. While the city operates a bus service, it is not recommended because of spread-out service and frequency of stops. 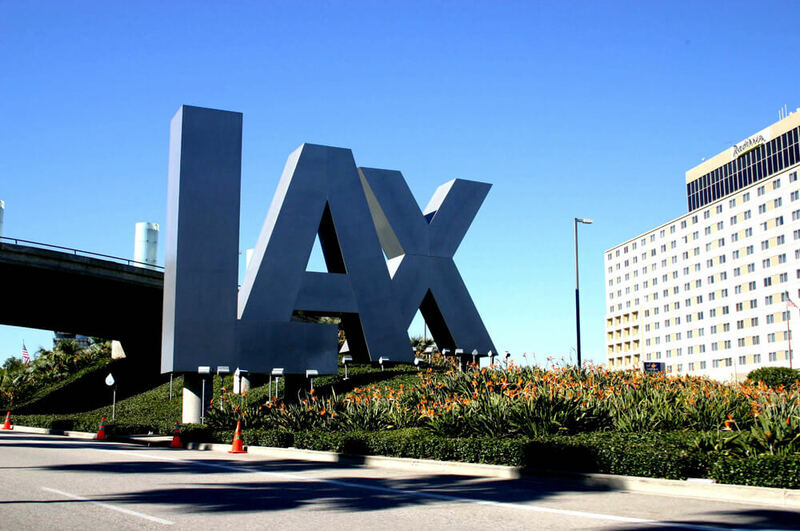 There are some other bus services such as the FlyAway bus, which runs between LAX with service areas that include Union Station, Hollywood and other points around the LA area. The Los Angeles area does have a commuter rail system and subway. At Union Station, you can use Amtrak or Metrolink to travel between Los Angeles and outlying areas, including Orange County (near Disneyland) and San Diego. The subway can take you to many tourist destinations like Hollywood, Universal Studios and now Santa Monica, but be sure to check the train schedule ahead of time to make sure you can get back when you want to. 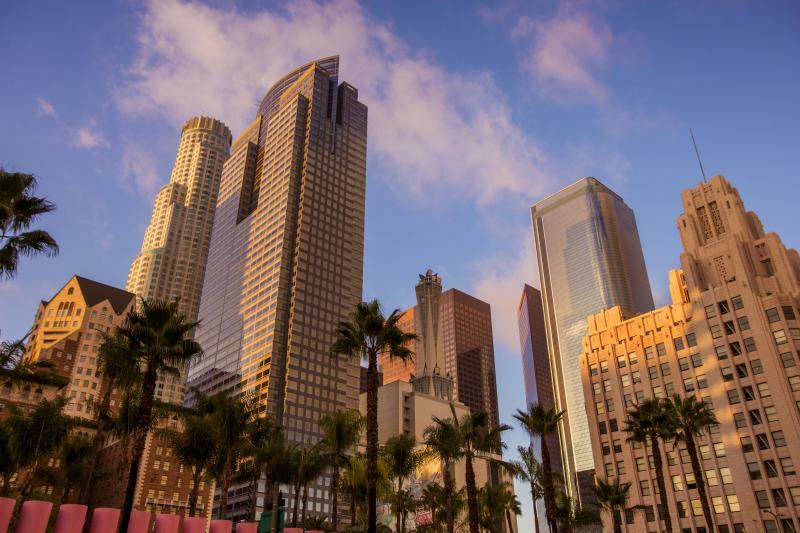 Because Los Angeles is such a sprawling area, we only recommend cabbing it or using ride share services for short distances, as it can get quite expensive to use them as your primary mode of transportation. When you need them, however, there are plenty of options. 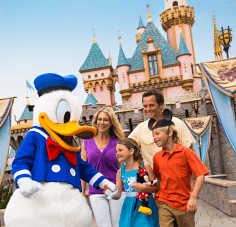 If Disneyland is your primary destination, you should consider the Disneyland Resort Express, which provides round-trip and one-way shuttle service from both Los Angeles International Airport (LAX) and John Wayne International Airport in neighboring Orange County to the Disneyland Resort and Anaheim Resort hotels. Buses depart frequently, and reservations are not required. Unlike Magic Express at the Walt Disney World Resort, there is no free transportation to the Disneyland Resort. The buses make their first stop at the Disneyland Resort. From there guests will either be transported directly to nearby hotels or they may take a smaller vehicle to their destination hotel. Allow for extra time, as the number of passengers and stops will determine how long it takes. Popular addresses are listed below if you would like to plug them into your favorite mapping system. We hope you've found this overview of transportation to and around Los Angeles helpful in planning a visit. You'll find more resources and tips inside our Los Angeles Planning Guide. Yeah Hiring a chauffeur service for Los Angeles would be the best option. Kindly tell me about the rate of your cars with 1,2, and 3 person separately and also send the information for family trip to Los Angeles. We have been hiring chauffeur in London for travelling. If your chauffeur service is available let me know. Besides car rental, what is the best step-by-step guide to get from LAX to Universal Studios and back? It'll be for 2 people, so hopefully advice that won't cost more than $100 round-trip. Thank you! You can take theFlyaway bus ($8 per person each way) from LAX to the Hollywood stop near Hollywood and Vine (60 to 90 minutes, depending on traffic) and then either use theMetro station to take the red line from Hollywood/Vine to Universal/Studio City stop (it is two stops away and there is a free tram from the Universal station to the park, but it is walkable if you don’t mind huge hills) or a taxi. Check the Red line schedule because the trains are not always running when you want them (mid afternoon gap) but otherwise trains arrive about every 10 minutes and it’s about a 6-8 min ride. If the train schedule does not meet your needs you should be able to take a taxi or Uber/Lyft between Universal and the Hollywood station. It’s only a few exits from Universal. We will be staying in Studio City, and it said the nearest station was downtown Burbank to take the to Anaheim. Do we just buy our ticket at the station or can we purchase tickets online ahead of time? I did not see anything on the Metrolink website about purchasing tickets, just the price. Thank you! Metrolink offers a Mobile Ticketing app that you can download, use for payment, as well as your ticket. Your other option is to purchase at the station. The How To Ride section on the Metrolink has lots of great tips. I'm looking for a scooter or moped type transportation option in LA area ... please give me options! Thank you! We did a quick Google search for moped rentals in L.A. and several operations came up. Since we have not tried any of them we do not have one we can endorse and say is the best. Let us know how it works out. Very professional, always on time and just outstanding service. Extremely nice drivers and cars. Would definitely use their service again. Planning trip to Disneyland,Six Flaggs and Universal in June with my granddaughter. looking for discount tickets...2day park hopper to Disney, one day each to the other parks. We don't currently offer Disneyland tickets, but hope to in the future!